Tom and Susan Prestwood have spent the last thirty five years living all over the southeast. Tom's corporate career has taken them from Dallas to Myrtle Beach, South Carolina and many cities in between. They currently reside in Charlotte, NC. 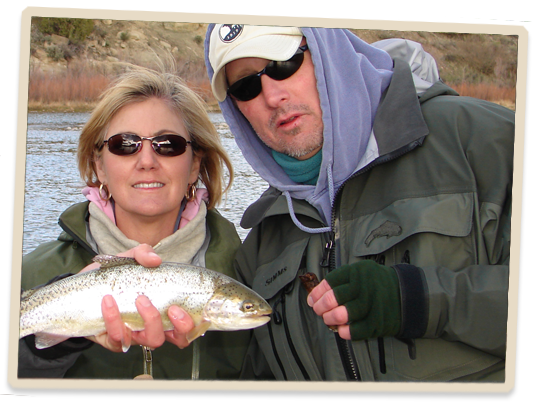 A number of years ago, after becoming empty-nesters, Tom and Susan tried and fell in love with fly fishing. Since then, they have fished all over the US. When the river property became available they saw a great opportunity to combine their new passion with Tom's business expertise. Susan's artistic talents are evident in the style and furnishing of the lodge. When not fishing or working, Tom collects electric guitars and plays the blues.